Who says girls don’t like steak?! Everyone LOVES steak (except for vegans and those trying to maintain a diet – heehee), and though there are A LOT of good steak places out there, some of which we’ve already shared… these are our top picks for date nights if you’re willing to splurge a little bit more for quality meat and a more romantic ambiance. It’s either you know it or you don’t. Elbert’s has been around for several years now but only a few people actually know about it. Why? Because they prefer to keep it low key. In fact, they don’t even have a sign outside their building! All you’d see it a small 7-eleven store with an old staircase going up. You’ll find Elbert’s on the top floor. This is MY personal favorite as I could really taste the quality of the meat in every bite. It isn’t just drenched in soy sauce or gravy, but really cooked and flavored to perfection. If you’re used to marinated steaks, this might be a little bit weird at first, but trust me… THIS is what quality steak is all about. The steak also comes with a few side dishes which will keep you full. I recently dined in Allium for my birthday, and more than just the beautiful ambiance, I had to commend their service. There was a waiter assigned to each table, making sure they could address your need pronto! They also serve their dishes in courses and will patiently wait on you to finish each course before taking out the next. Their steak is pre-cut so it’s easier for the ladies to maintain that poise when eating. The steak comes with salad and soup so there is no need to order more as I assure you, you will be full. Hai Chix and Steaks is more for a family night then a date night as can be a little noisier here. However, if your date doesn’t mind, then you’d still love the steaks. I especially love their steak rice. Their steaks are also more within budget than the first 2 mentioned above. The steaks here are big and served with the perfect thickness. To make this dish even more flavorful, the fat from the beef was sliced off and made crispy to serve as the toppings. Instead of the commonly used rock salt for flavor, Hai Chix and Steaks uses the juicy fat. Please note however that their branch in Makati is already closed as the owners decided to open up a new Filipino restaurant, Pamana. You can still visit their restaurant in Ortigas Home Depot. Mamou, similar to Hai Chix and Steaks is better for a family night. However, if you don’t mind the noise, you’d still love it here. Melo’s is one of the longest running fine dining restaurants. 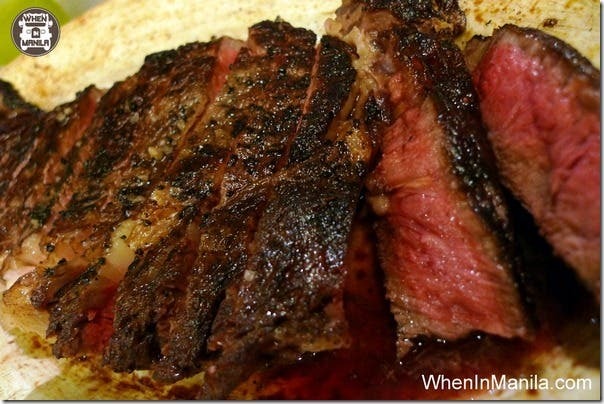 Their steaks are delicious and the restaurant also has a relaxing feel and ambiance. Alfredo’s is a classic, one our parents used to love going to when they were young and still do today. I intentionally put this at the end as it is not exactly like the first 5 above, however, my siblings particularly prefer Alfredo’s because of its SIZZLING steak. If you’re a fan of that, then you should definitely check this place out. The steak comes with soup, salad and some bread. So make sure you try these out first before ordering more as you’d probably be stuffed! The restaurants above is ranked based on my personal experience as well as a little survey from people around me. There are MORE steak restaurants around, however, these were put together based on ambiance and quality of the steak. There are also a few restaurants that offer good steak, however, I opted not to include them as it was not their specialty. Do you agree with the list above? 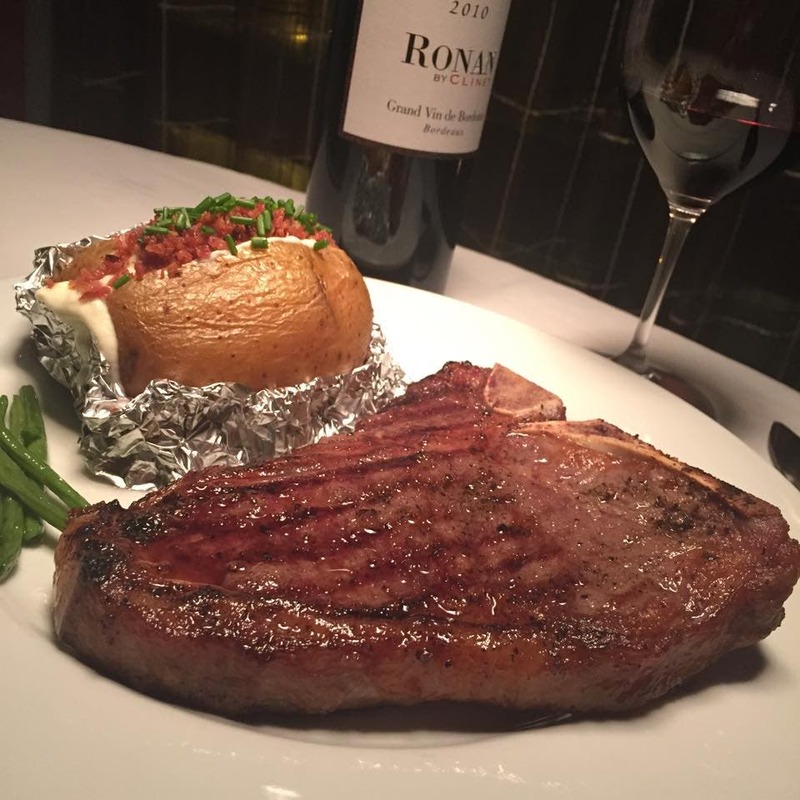 Got other steak restaurants you’d like to include in the list? Do let us know.